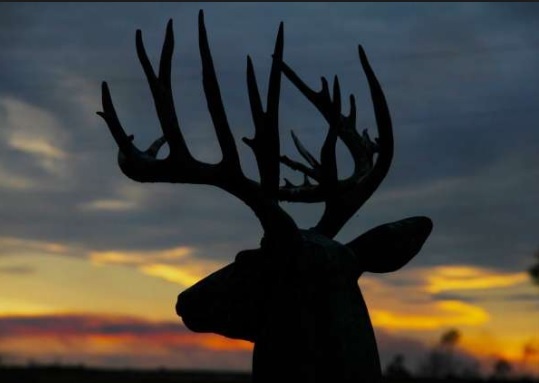 AUSTIN – Texas hunters will see greener pastures and possibly fewer deer coming to the feeders in early November when the general season kicks off Saturday statewide. But, despite dry conditions, earlier this summer hunters could be pleasantly surprised with the antler quality of bucks they do find. The season opens Nov. 3 and runs through Jan. 6, 2019 in North Texas, and Jan. 20, 2019 in South Texas. A late youth-only season is also slated for Jan. 7-20, 2019. For additional new season deer hunting opportunities and county specific regulations, consult the 2018-19 Outdoor Annual of hunting and fishing regulations. Hunters are also reminded to review the TPWD chronic wasting disease regulations for information about CWD testing requirements and carcass movement restrictions for the 2018-19 season. Also, as a reminder, Texas hunters harvesting deer, elk, moose, or other susceptible species in other CWD-positive states must also comply with carcass movement restrictions when bringing those harvested animals back into Texas. Additionally, the Texas Animal Health Commission has statewide mandatory testing requirements that apply to elk, red deer, sika, moose, and reindeer. Samples taken in the Panhandle CWD zones are also being examined for bovine tuberculosis (TB). Although this disease has not been discovered in Texas deer, reports of bovine TB elsewhere have heightened public concerns. While it is highly unlikely to encounter a deer with TB, hunters, landowners, processors, and taxidermists should be encouraged to report any suspicious appearing animals. The recent green up provides a stark contrast from earlier in the year when a lack of consistent and uniform distribution of rainfall during the spring and early summer left the Texas landscape dotted with a patchwork of habitat conditions. TPWD wildlife biologists observed the majority of the state had reasonable for production and good brush green-up back in the spring, which provided a good foundation of native forage to get deer off to a good start regarding antler growth and fawn production.